One of the most interesting and environmentally friendly activities to discover the region is walking in the Algarve. Walking trails have been developed by most municipalities and are available in the whole region. 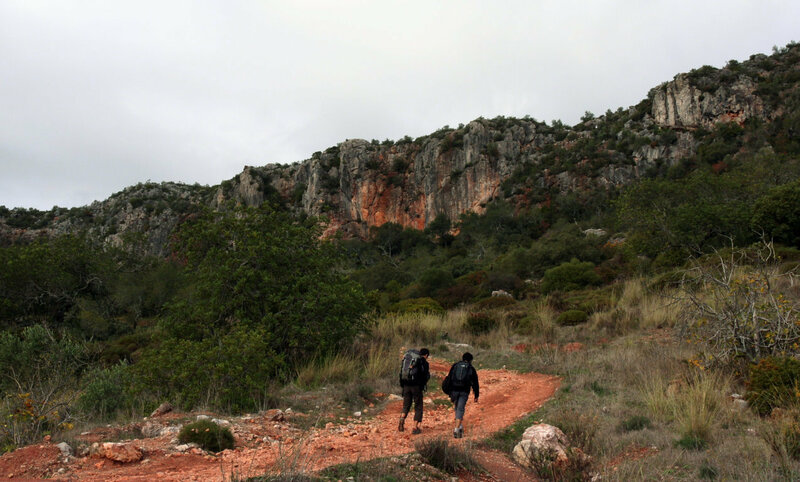 Make sure you wear good footwear when go hiking in the Algarve and wear socks with trousers, to protect yourself from insect bites and thorns. Furthermore, make sure you always have a lot of drinking water with you. 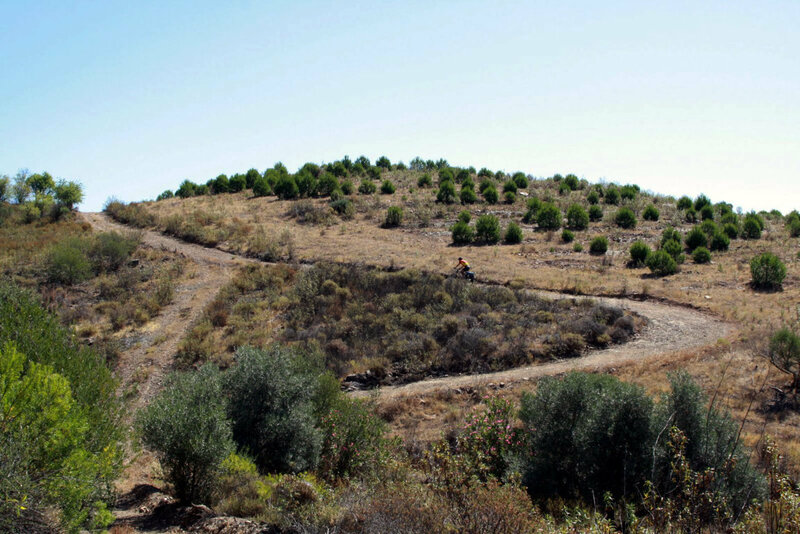 Below we will recommend several trails for walking in the Algarve. 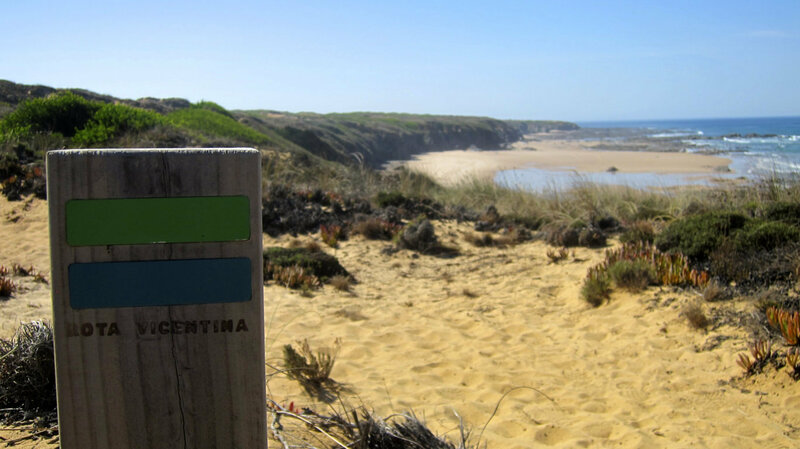 The Rota Vicentina is a walking trail of more than 300 kilometres along the Costa Vicentina, in the southwest of the Algarve. Here you can walk along the coast of the natural park. The trail opened in 2012 and is divided into several small sections, each between 15 and 25 kilometres in length. This way you can go from village to village. 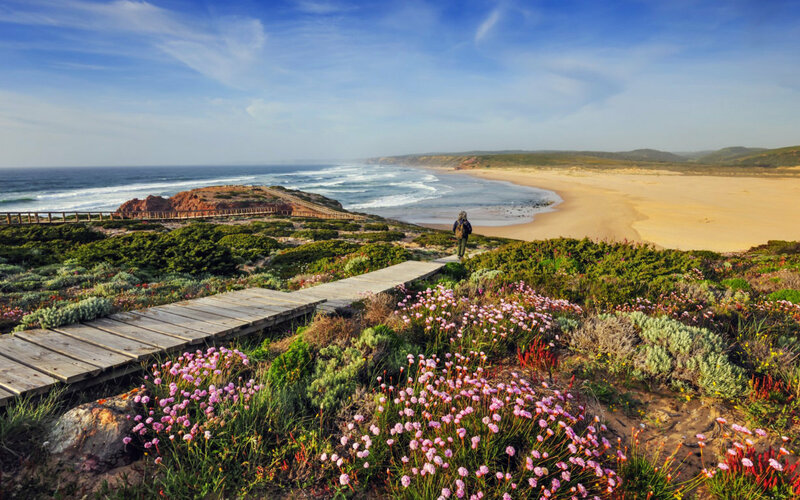 The Rota Vicetina is the result of carefully studying the most beautiful coastal sights of the Costa Vicentina and linking them together in a walking trail. You will see unspoiled nature and another side of the Algarve. This side is much less touristic, and resembles the traditional way of life in this area. You will breath fresh sea air and taste regional specialties. The trail is very well signposted, in both directions. An interactive map shows you where you can stay the night along the route. 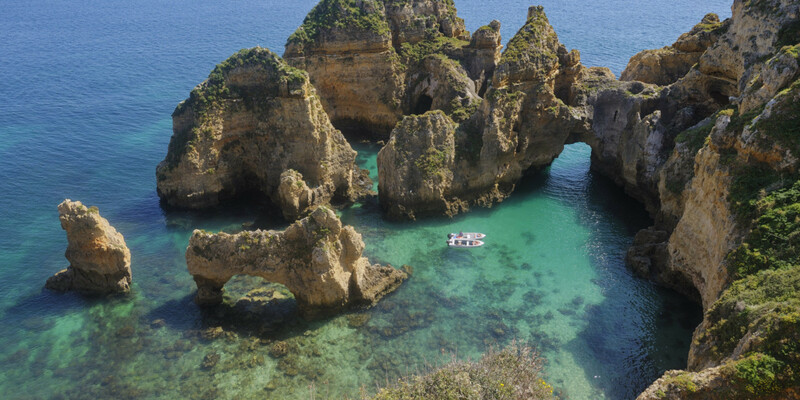 A walk along the rocky coast of Lagos, with spectacular rock formations in Ponta da Piedade and Praia da Marinha. You should start this trail in the centre of Lagos and walk along the coast to Ponta da Piedade, a few kilometres south of the town. Along the trail, you will enjoy the magnificent views over the bay of Lagos and its coastline until Alvor and Praia da Rocha. You will also see many small beaches surrounded by rock formations. The most important of the walk is Ponte da Piedade, which is considered by many as a natural wonder and for sure one of the top many natural attractions of the Algarve. From there you can also discover other grottoes and rock formations, walking in the western direction. This same trip can be made by boat. 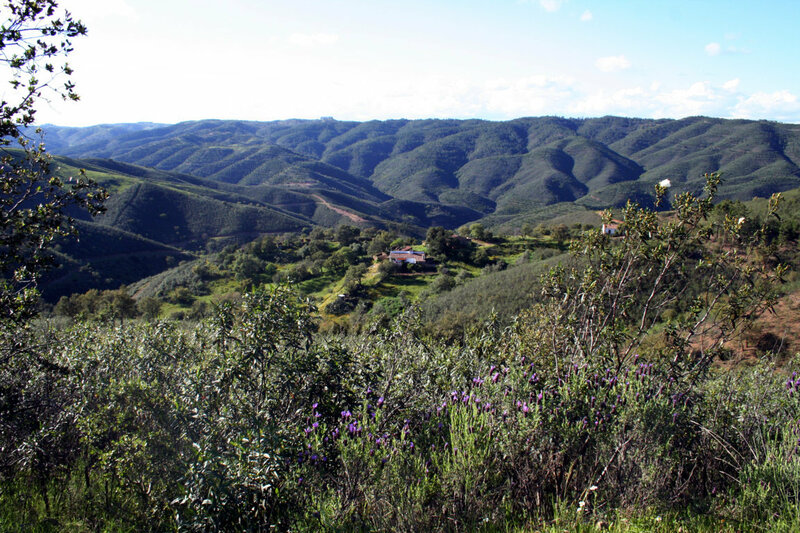 A walk in the countryside of the Loulé region, with Fonte da Benémola and Rocha da Pena. If you ride along the road from Salir to Alte (municipality of Loulé), you will find signs indicating Rocha da Pena. 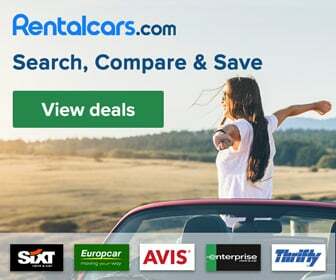 After parking your car, you can walk up the mountain, from where you have beautiful views up to the coast and the northern side of the Algarve. The walking trail is very well marked and the walk lasts about 2,5 hours. Along the walk, you can see some cultural heritage, as a neolithic wall and caves (grutas in Portuguese), where the Moorish inhabitants of Salir sought refuge and hided themselves from the Christians that conquered the village of Salir in the 13th century. Almost at the end of the walk, you pass a tiny beautiful village called Penina. This village seems like time stopped here a long time ago. Towards the end of the walk, you will see ancient Moorish noras (wells). There is a walking trail along the countryside, from Sagres to the Spanish border. This recently built walking trail is called Via Al Algarviana and is about 265 kilometres in length. The trip would take you through unspoiled nature and small villages. It would show you the traditional way of life, as it was like 100 years ago in the Algarve. The walking trail is clearly signposted. Of course, this trip would last several days. You could also do this trip by bike. If you do decide to take this trip, we recommend that you do it in the spring. The summer might be too hot and in the winter the trees are not as nice as in the spring. This trip would also take you through the mountains in the North of the Algarve. If you prefer a shorter walk, there are many different other walking trails available in these mountains. Walking from Sagres to the cape of St. Vincent offers a combination of nature and culture. 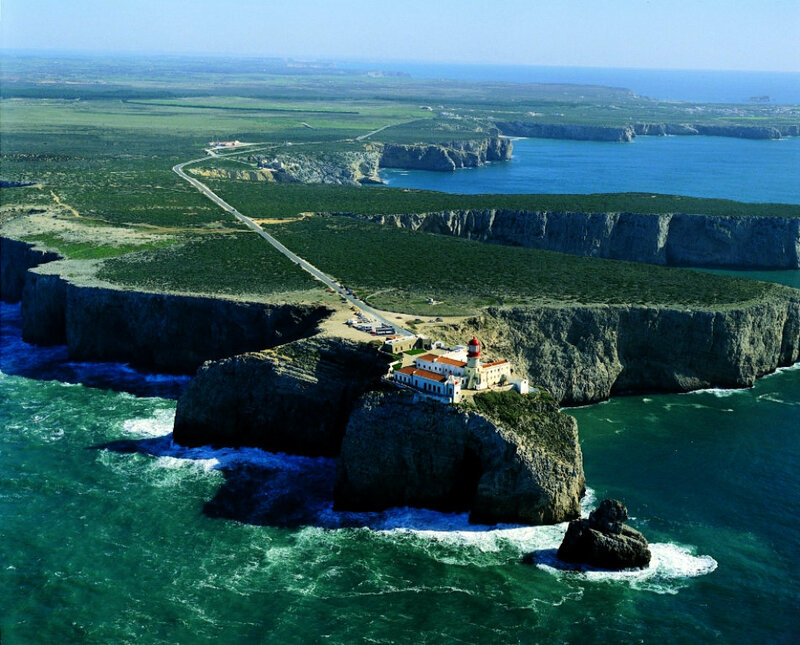 You can start by visiting the fortress of Sagres, which was founded by Henry the Navigator. From there, you walk towards the cape of St. Vincent and you can see some beaches, as Praia do Tonel, with an impressive rock inside the water which looks like a lion, Praia do Beliche, the fortress Forte do Beliche and the cape of St. Vincent with the building of the old monastery (13th century) and a lighthouse (19th century). The cape of St. Vincent is the southwestern most point of Europe. The rocks surrounding the cape are 60 metres high. You will find some amateur fishermen angling from dangerous places on the cliffs. 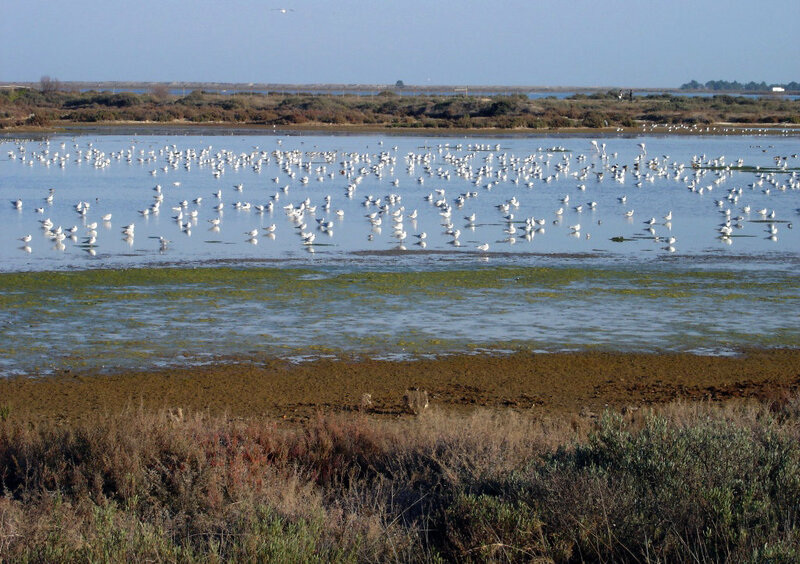 A walk in the natural park of Ria Formosa in Olhão is to recommend if you are interested in learning about the human activities, traditions and nature of the Ria Formosa. Here you have to pay entrance to the natural park. The trail is in excellent condition. You will learn about traditional activities in Ria Formosa. 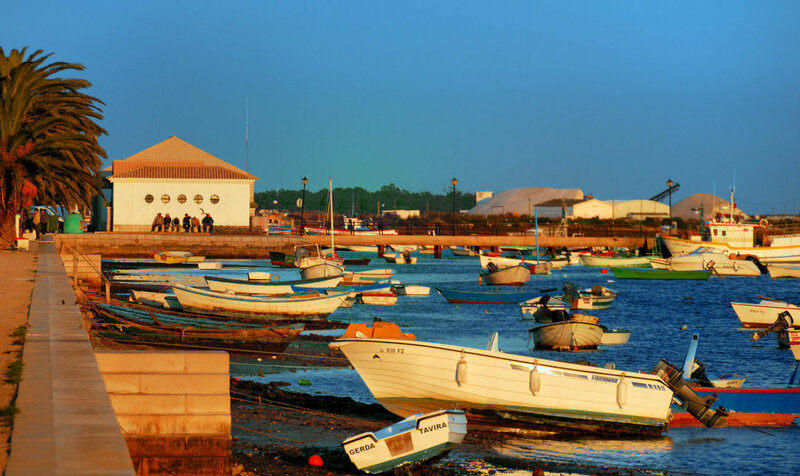 Moreover, you will visit the salt pans, Roman tanks related to fishing and one of the various tide mills that existed in the Algarve many centuries ago. A walk from Tavira to Praia da Barreta. Here you walk along the road from Tavira to Santa Luzia, which has a good trail for walking and biking. Arriving in Santa Luzia, you can walk along the main street facing the Ria Formosa. You will find the building of the octopus auction, as the fishing in this village is specialised in the catch of octopus. Continue walking towards the West. Two kilometres further, you will find a narrow bridge on the left, which leads to a point from where you can walk or take a small train to the beach, situated about 3 kilometres away. The beach is called Praia da Barreta and is many kilometres long. If you like to extend your walk along the beach, this is a perfect place. A walk in the countryside in the municipality of São Bras de Alportel, with trails in the area of the small village of Parises. Here you can discover the deep rural Algarve, with some small villages, old houses and traditional vegetation. Some houses are in ruins, as people have moved towards the coastal regions. The few people still living in this area are mostly elderly people. You can find small rivers, especially in the winter and spring, valleys and mountains. This is the forgotten side of the Algarve.